The master-planned community of Tamaya is making way for future residents. Nearly 150 families currently call the community home. Tamaya’s second neighborhood, Bella Nika, recently opened and a new model by ICI Homes is opening in July. The new neighborhood offers a variety of home sites, including 50-foot-wide, 60-foot-wide and 75-foot-wide sites as well as 85-foot-wide sites, making Tamaya accessible to a larger number of home buyers. Designers are putting the finishing touches on the new model which showcases ICI Homes’ Serena plan. 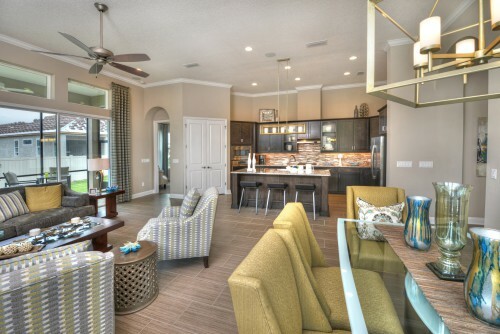 Offering four bedrooms and a home office, the Serena features open spaces that connect the kitchen, dining, entertainment and outdoor living areas together for family living and entertaining. The home is being decorated by Sisler Johnston Interior Design and will feature a comfortable modern style with a cool neutral color palette highlighted by emerald green and topaz accents. The Serena is one of the many diverse plans available in Tamaya’s Bella Nika neighborhood, offering the community’s upscale architectural design style in a variety of home sites sizes. ICI Homes’ award-winning, customizable floor plans in Bella Nika start at 1,800 square feet of living space. Ten 50-foot-wide home sites have sold since the new neighborhood opened. In addition to the Serena model, six new model homes will open in Spring 2017. Only 10 home sites remain available in Bella Nina, the original Phase I of Tamaya, where floor plans start at 1,979 square feet of living space. 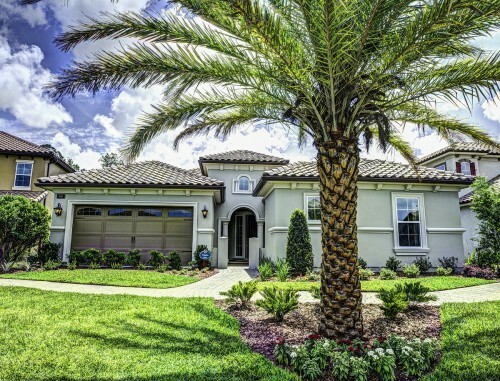 ICI has six move-in ready homes available for buyers on a faster timetable. Homes at Tamaya range in size from 1,800 square feet up to 6,000 square feet and range in price from the $300,000s to $800,000s. 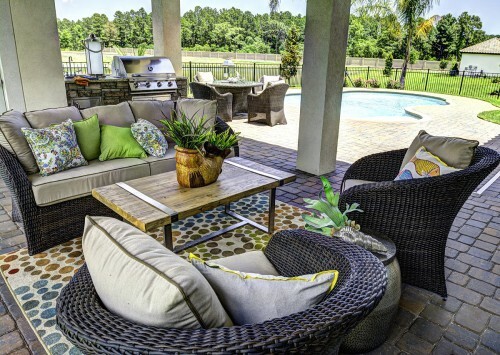 ICI Homes currently has seven designer-decorated model homes for sale at Tamaya. The models are available for prospective homebuyers to view and are for sale furnished and unfurnished with a lease-back option or delayed closing options. Two massive projects: Tamaya’s new grand entrance fronting Beach Boulevard and the Tamaya Residents Club are both on track for opening in Fall 2016. Landscaping for the new entrance and finishing touches on the guard house will be complete soon. Early this fall, the temporary entrance will be walled and traffic will be rerouted to enter the community at Beach and Tamaya boulevards. Visitors and residents alike will experience an unparalleled sense of arrival, riding along tree-lined streets and lake vistas as they enter the neighborhoods of Tamaya. The new entrance will be the gateway to the Tamaya’s Residents Club, beautiful parks, meandering walking trails and luxurious homes. The Tamaya Residents Club is more than 75 percent complete and planned for opening this fall. No expense has been spared to make the $11 Million, 10,000-square-foot Residents Club the finest in the area. Designed exclusively for homeowners, Tamaya’s Residents Club will be the community gathering place for entertainment and social get-togethers as well as a center for fitness, wellness and relaxation. The Residents Club will feature a resort-style pool and outdoor recreation areas, including tennis and an event lawn. The clubhouse spans 10,000 square feet and contains nearly 4,500 square feet of interior fitness space including an expansive cardio room and a separate yoga and pilates studio overlooking a garden and fountain area. The Residents Club will offer numerous gathering spaces including a spacious great room with a catering kitchen, a clubroom, a covered porch and an outdoor patio. To enhance the community experience, ICI Homes is preparing to welcome a community ambassador and lifestyle coordinator. This individual will play a key role in connecting Tamaya residents with their neighbors, the community and all Tamaya has to offer. The coordinator will plan events and activities for residents of all ages to enjoy. Tamaya offers proximity to top-rated Duval County public schools – Kernan Trail Elementary, Kernan Middle School and Atlantic Coast High School. The community is located near many excellent private schools, universities and colleges. Residents also enjoy easy access to the Jacksonville area’s corporate, medical, retail and entertainment centers. The community is just six miles to the beach and within minutes to Mayo Clinic Jacksonville. Tamaya is located off Beach Boulevard, midway between Kernan and Hodges boulevards. For more information, call (855) 279-6053 or visit www.TamayaFL.com.